Description Jim Hudson Lexus Augusta is proud to present this 1 Owner, L/Certified 2018 Lexus RX 350 in Atomic Silver w/Parchment leather interior. CARFAX BuyBack Guarantee is reassurance that any major issues with this vehicle will show on CARFAX report. The CARFAX report for this 2017 Lexus RX RX 350 highlights that it's a One-Owner vehicle, and for good reason. A One-Owner vehicle gives you the feel of owning a new vehicle without paying the new car price. This vehicle has met all the exacting standards to be classified Certified Pre-Owned. 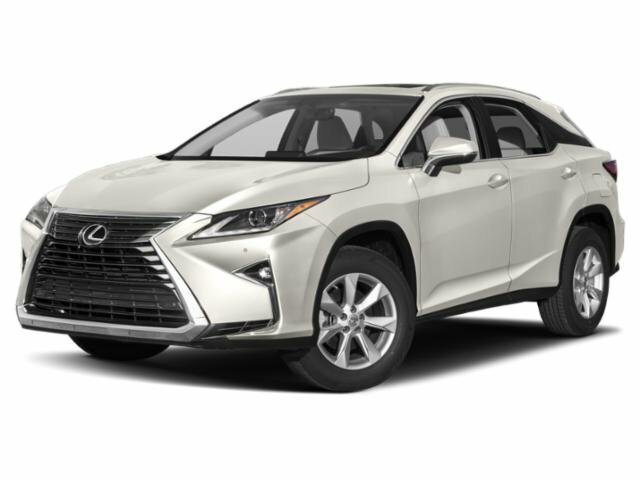 If you're in the market for an incredible SUV -- and value on-the-road comfort and manners more than ultimate off-road prowess or tow capacity -- you'll definitely want to check out this Lexus RX RX 350. The Lexus RX RX 350's pristine good looks were combined with the Lexus high standard of excellence in order to make this a unique find. You can tell this 2017 Lexus RX has been pampered by the fact that it has less than 14,795mi and appears with a showroom shine. You'll quickly realize how much you will need a navigation system once you are stopping for directions or looking up addresses on your phone instead of looking at the road. This Lexus RX RX 350 features a navigation system that will free you of these unnecessary headaches. With complete records on this pre-owned vehicle, you'll have peace of mind and the satisfaction in knowing your new purchase is safe and reliable. If you are looking for a pre-owned vehicle that looks brand-new, look no further than this Atomic Silver Lexus RX. They say beauty is on the inside and once you experience the unbelievable options in this Lexus RX, you'll agree that this is one beautiful vehicle.